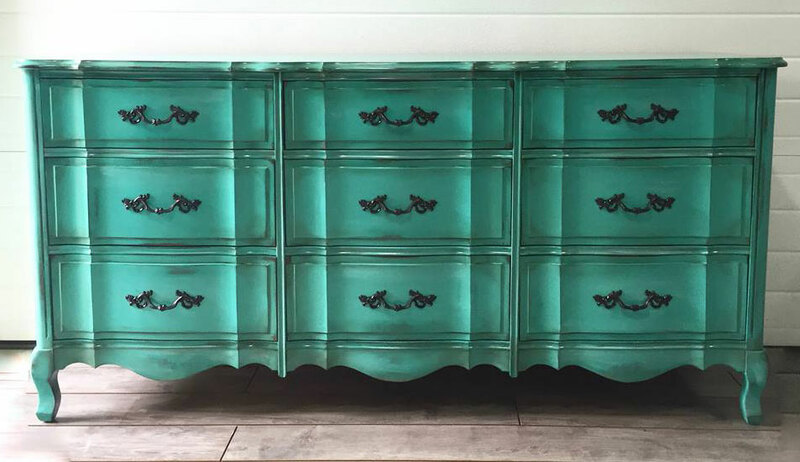 Kristen Almen of Dressers and Jujubes shares this beautiful dresser she restyled in pretty Patina Milk Paint. 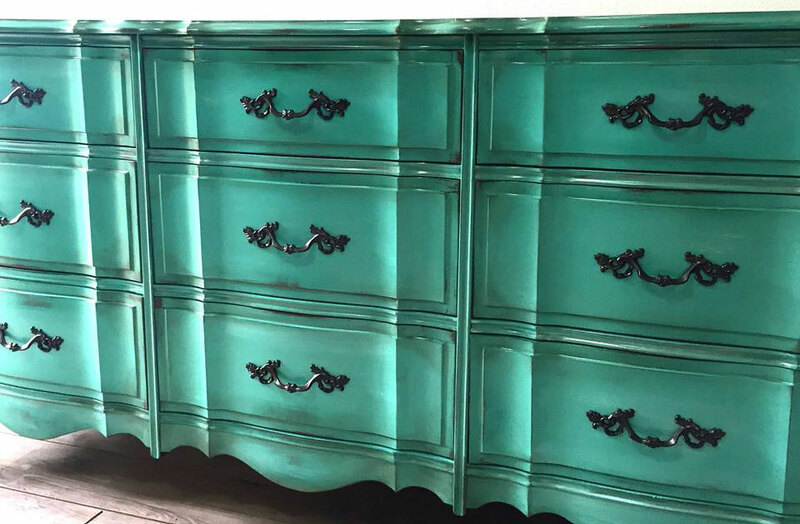 She also finished this piece in Van Dyke Brown and Pitch Black Glaze Effects! Find your favorite GF products at Rockler, Klingspor, Amazon, orWood Essence and Lee Valley in Canada. You can also purchase GF products from any of the 31 Illinois JC Licht locations. NOTE: Woodcraft stores carry all of GF’s retail and professional line EXCEPT Chalk Style Paint. You can also use your zip code to find a retailer near you at http://bit.ly/1pEtZMu.